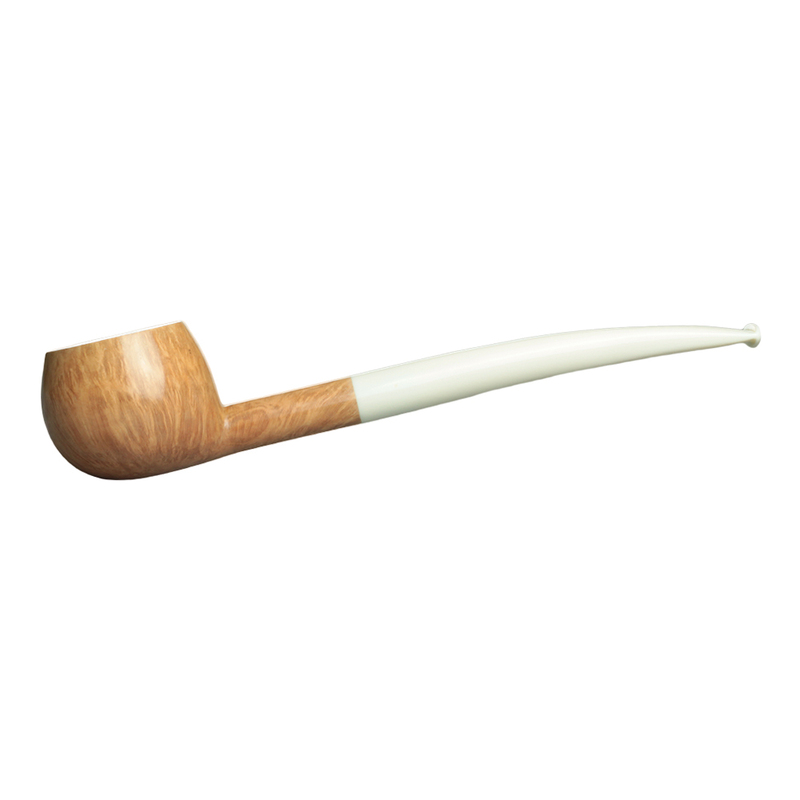 Sometimes it’s good to display the briar in a natural way. 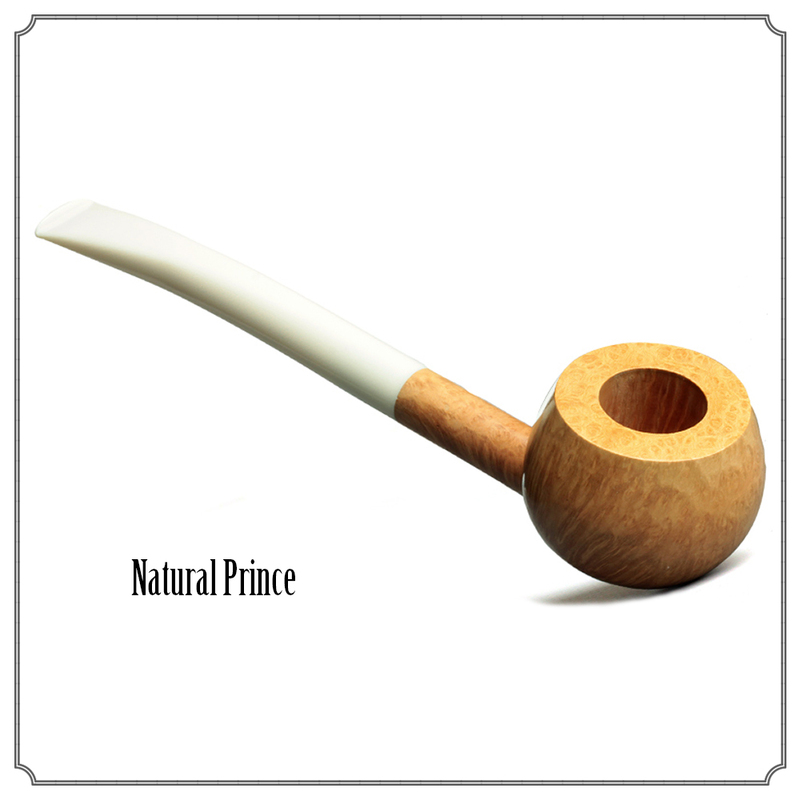 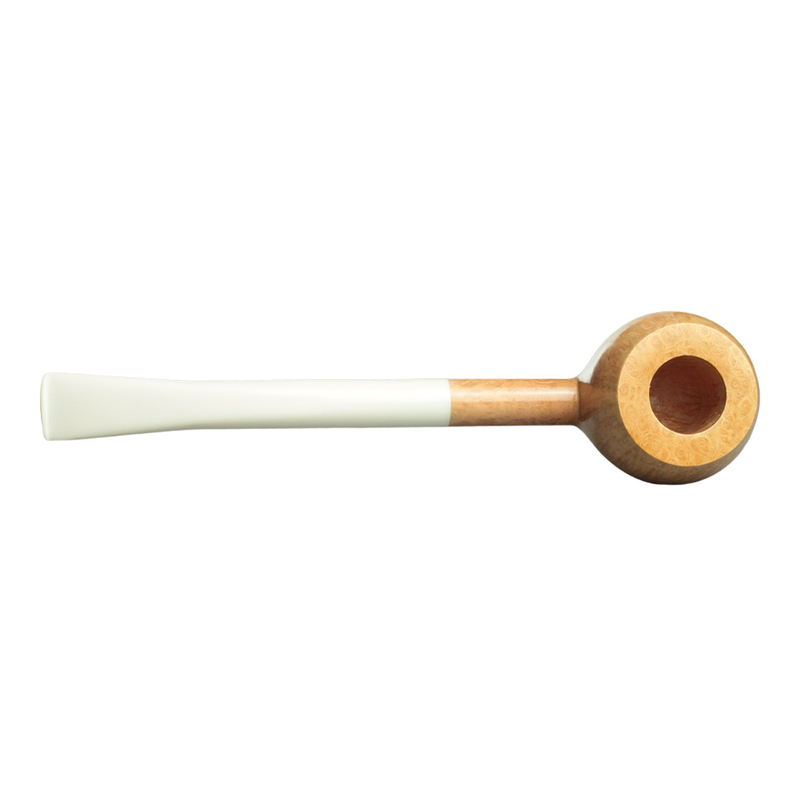 This smooth Prince is nearly 7″ long, offering the smoker one of the coolest smokes available. 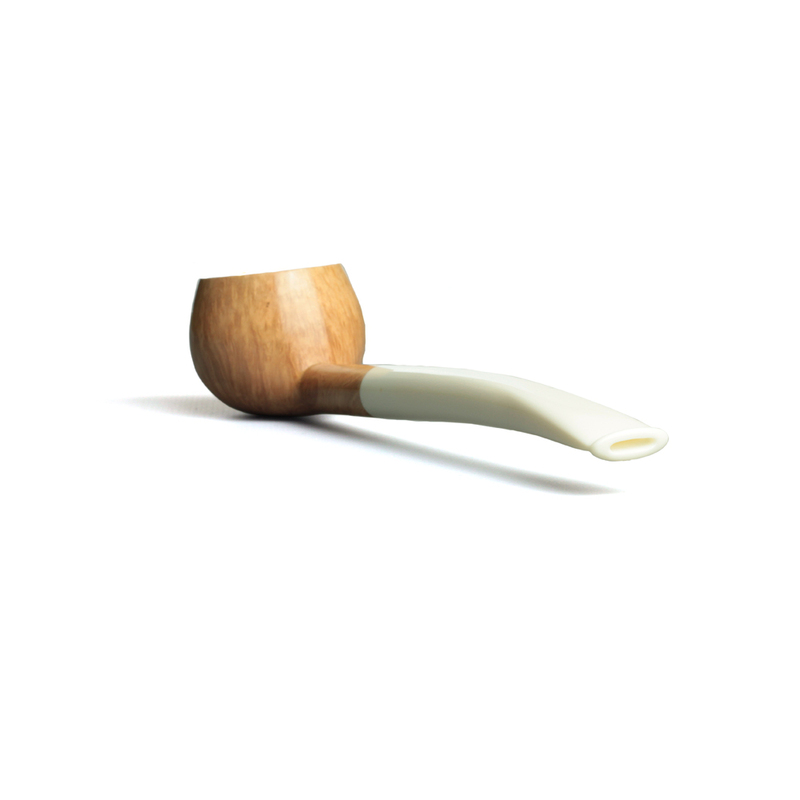 The bowl is lightly finished with carnauba wax for durability and to bring out the grain. 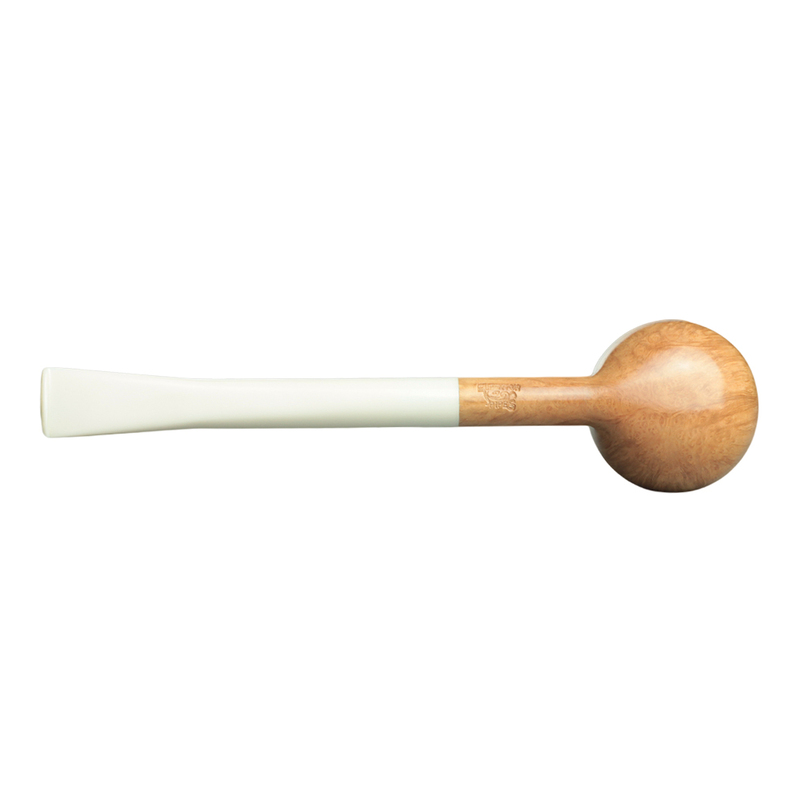 There are two small inclusions on the back of the bowl and one on the right side of the shank, they are a natural part of the briar and measure 0.5mm or less.There is a slight colour irregularity on the left side of the acrylic stem with a diameter of 0.6mm.